Ḥorvat ‘Ovesh (Khirbet el-‘Abbassiya), a small site of c. 1.5 a. located in northwestern Upper Galilee, at the eastern edge of the modern town of Shelomi, has no historical identification. The site was described by the Survey of Western Palestine and V. Guerin in the late nineteenth century and surveyed by R. Frankel for the Archaeological Survey of Israel in 1997. A minor excavation was conducted at the site in 1976 by M. Prausnitz. In 1992, following damage to the site by construction work, salvage excavations directed by M. Aviam and N. Getzov uncovered the remains of a Byzantine period smithy. In 1996, further excavations by D. Avshalom-Gorni and H. Abu ‘Uqsa uncovered the remains of an olive-oil industry. 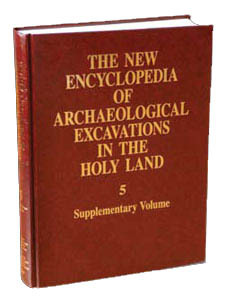 Both excavations were conducted on behalf of the Israel Antiquities Authority.